When you book one of our properties. You will be sure of staying at that particular property that YOU CHOOSE. They offer comfortable accommodation and are exclusive bookings – there are no other guests When you rent a holiday home you are the only occupier and is booked for your exclusive use. You do not share with other guests. Holiday homes are the most sought after alternative to staying at hotels, motels and caravan parks. Not only do they offer great value, each and every holiday home is different which includes a combination of unique features guaranteed not to be found in any other accommodation. We provide details of each property, including photos, which allows you to make an informed decision about the property in which you want to spend your holiday.This way you know the location, style & amenities of that particular property that you are booking for your holidays. Port Augusta Executive Holiday Rental offers you luxurious yet affordable holiday accommodation, is dedicated to providing innovative online booking services with real time availability and pricing for guests to look, choose a property, book and pay on line. Live on line booking – No Credit Card Fees – No linen Hire Charges – No Booking Fees. Check availability and book straight away with RMS, safe, secure and efficient. Explorers is a 4 bedroom house, which has a large kitchen, front living area, polished timber floor boards throughout to add charm & character. This four bedroom home, is the perfect place for your holiday as it is centrally located on Port Augusta Strip on Highway 1, near fast foods, hotel, mechanical repairs, car hire etc. Walking distant to the City Centre, Wadlata Tourist Centre and the Beach. Squatters Cottage - This charming historical cottage was constructed in 1906 and is part of Port Augusta’s history. It retains its original characteristics, large bedrooms and high ceilings. It has been updated to include modern day amenities and a newly renovated bathroom. You will be impressed with the vibrant country style kitchen. Sleeps 10 Secure, Private, clean, fully furnished. This four bedroom home, is the perfect place for your holiday as it is centrally located on Port Augusta Strip on Highway 1, near fast foods, hotel, mechanical repairs, car hire etc. Walking distant to the City Centre, Wadlata Tourist Centre and the Beach. One&Only Holiday Home is idea for for the needs of contractors, shift workers, tradesmen or professionals, working away from home. It is located near fast foods, a short distant to mechanical repairs, car hire, hotels, supermarkets, hotels, city business centre, Wadlata Tourist Centre and the Beach. This home is built for comfort. Its exterior is clad completely in energy saving insulated Formplex, blow in insulation in the ceiling and a double roof, keeping you warm in winter and cool in summer. Cross Roads Traveller’s Rest - This 3 bedroom home, sleep 5, secure, private, located in quite area, walking distant to City Centre and Beach. A fully furnished home offering an affordable and a comfortable stay. Suitable for couples, families, working men, contractors, shift workers, short stays or long stays for those who don`t want the hassles associated with hotel and motel accommodation. You need to bring with you, your brief case or tool box, clothing, personal effects & a smile! Port Augusta Executive Holiday Rental offer you luxurious yet affordable holiday accommodation, is dedicated to providing innovative online booking services with real time availability and pricing to make it easy for guests to look, choose a property, book and pay online. Each of our featured holiday homes are accompanied with a full set of details and photos for your better appreciation showing actual room photos. When you book with us you can choose in advance the particular property that meets you requirements and not just accept what someone else has chosen for you. You will know its location, style and amenities before making your booking. Full details of each property is shown on this website. What you see here are the actual photos taken of each property. 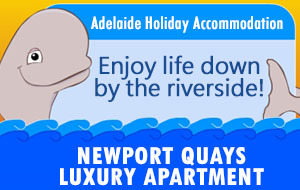 Looking for accommodation in Adelaide for a few days, a week or more? Does not have the hassles associated with hotel and motel accommodation but you can have the security, privacy, space and comforts of home and cheaper than most hotels & motels. Larger than the average apartment, resort style living, private & quiet. 55” Plasma TV, free Foxtel TV, Internet free WiFi , TV in the bedroom. 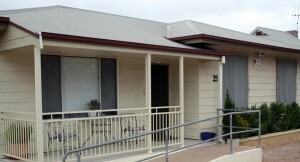 Public transport at your doorstep to the City, West Lakes, Semaphore. Close to AAMI Stadium and Westfield Shopping Centre, Golf Courses.